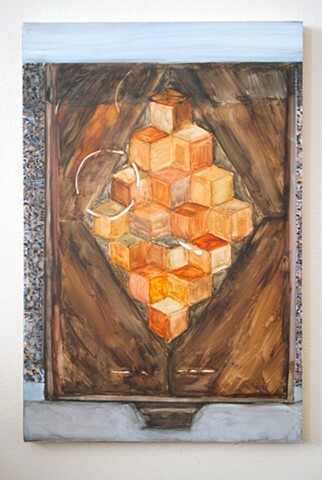 This group of paintings, Called "Portmanteaus", depicts spaces where domestic and particular things interact. In each painting there are two visual languages that overlap. These paintings are of shared spaces that are alternately awkward and easy. Each painting is 18” x 12” and is watercolor on panel.